Home / Editor's Choice, Entertainment News, Featured Articles, Gossip and Drama, Photos, Politics / KALENJIN women are so disciplined and conservative! See this PHOTO that has excited Kenyans. KALENJIN women are so disciplined and conservative! See this PHOTO that has excited Kenyans. Monday, December 10, 2018 - This photo of Kalenjin women in a public function attended by various leaders from Rift Valley has excited Kenyans. 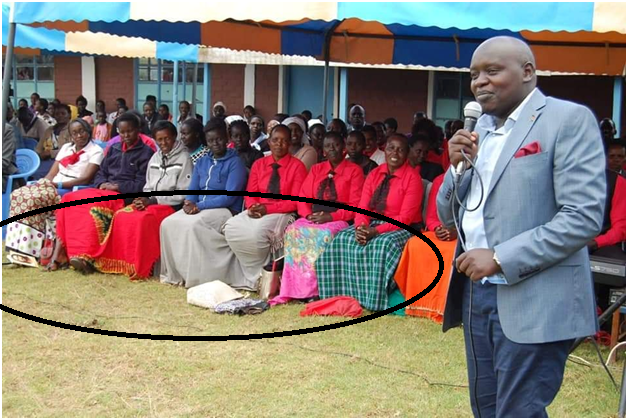 In the viral photo, the women from the Kalenjin community are seen covering their thighs and legs with lesos, a sign of self-respect and good manners. They don’t expose their flesh to the public especially in front of men like women from other communities. “Kale” women are so conservative and disciplined.